Non-profit’s education and advocacy for celiac sufferers grow to include entire U.S.
Boston, MA (06/14/17) – The National Celiac Association is dedicated to the mission of educating, advocating, and outreach for individuals with celiac disease (CD) and non-celiac gluten sensitivity (NCGS), their families and communities. 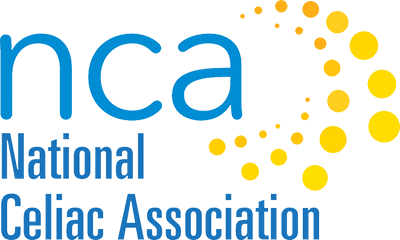 With the recent acquisition of the Celiac Support Association (CSA), the New England Celiac Organization (NECO) with offices in Boston, Massachusetts and Nebraska is launching a national platform and renaming the organization the National Celiac Association (NCA). With the new growth, the NCA will now be able to offer its services across the nation. Someone with celiac disease must be on a life long gluten-free diet. Omitting wheat, barley and rye is mandatory for this autoimmune disease. CD as well as NCGS continues to be a mystery to many, often confused with a dietary choice to avoid foods containing gluten. However those undiagnosed with CD can experience a variety of symptoms such as gas, bloating, diarrhea, vomiting, pain, fatigue, and infertility. The newly founded NCA will continue the former CSA’s Gluten-Free Certification Program that offers a seal of recognition. Recognition Seal products are tested using the most sensitive ELISA and other relevant validated tests available in the United States; the lowest level of testing in the nation at 5 parts per million. Last but not least, CSA’s members will also continue to be an integral aspect of the association. One of the NCA’s immediate objectives will be to further develop the Gluten-Free Food Bank, created last year as a pilot program in Massachusetts. The food bank aims to supplement food assistance programs with gluten-free options, addressing the problem of those diagnosed with CD and NCGS who may not have the resources to purchase gluten-free food that can be quite costly. The program is supported by generous donations from gluten-free food companies and monetary donations that allow NCA to purchase and deliver gluten-free foods to food pantries. In less than one year, the program delivered over 2,500 pounds of gluten-free food to those in need. “Our grass-roots approach hasn’t changed in the 24 years we have been serving the community. Wherever you may reside, you matter to us and we are here to help you!” says Executive Director Lee Graham who has been leading the transition from NECO to NCA. 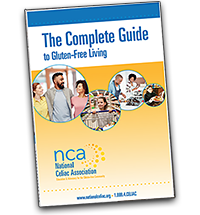 The member-based group also offers support for those with CD and NCGS through monthly e-newsletters, an informational website, and the Gluten-Free Nation magazine. More than 70 support groups and former CSA chapters are currently in the process of joining the NCA team, and NCA is welcoming even more. Additionally, NCA collaborates with Harvard Medical School’s Celiac Research Program for a yearly Celiac Conference in Boston, MA where the association is headquartered amongst several world-renown celiac centers. 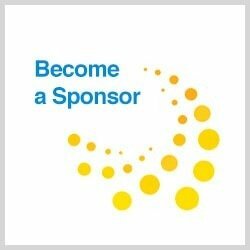 The National Celiac Association is a 501(c)(3) non-profit organization dedicated to educating and advocating for individuals with celiac disease and non-celiac gluten sensitivities, their families, and communities throughout the U.S. NCA provides education, awareness, and outreach for persons with CD and NCGS and the medical community through in-person events and the online community. Dr. Alessio Fasano, Medical Director, Center for Celiac Research at Harvard Medical School and Chief, Division of Pediatric Gastroenterology and Nutrition at Massachusetts General Hospital.